Welcome to Manning, Iowa! 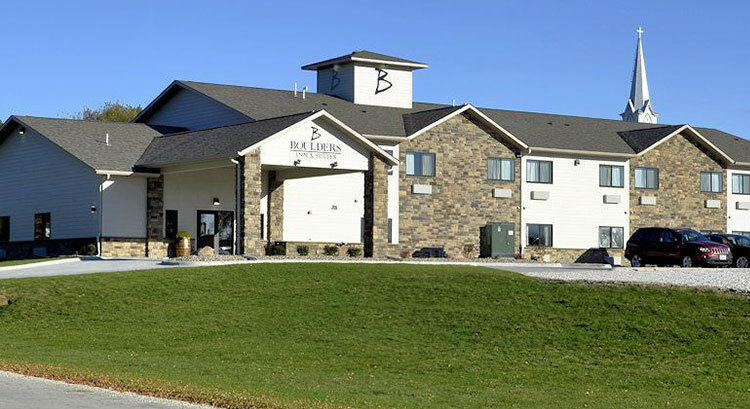 For your convience, our property features an onsite fitness center, laundry facilities, free Wi-Fi, a public computer/printer and fax services. The lobby has custom made furniture constructed with Templeton Rye Whiskey Barrels. From the pendant lighting above the front desk to the fireplace mantel are all unique to this location. The front desk is staffed 24 hours, offering snacks at check-in and 24 hour coffee service. The outdoor patio has a gas grill, two concrete picnic tables, gas firepit with seating and a path to neighboring Manning Hausbarn and Heritage Park. Complimentary daily breakfast includes a hot item, waffle bar and various assorted cereals, pastries, fruit and yogurts, served daily 6-10 am. 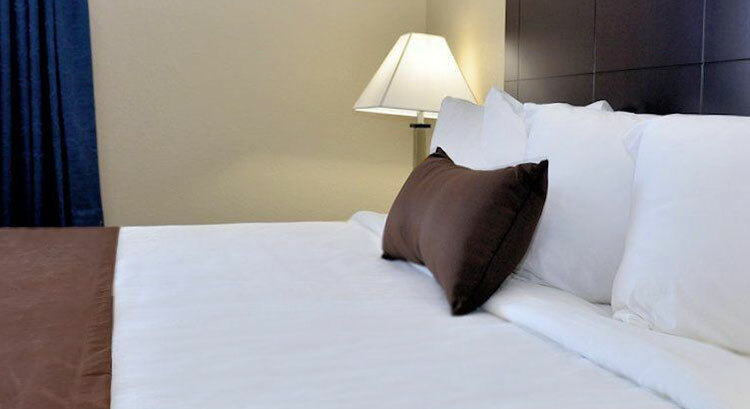 All guest rooms are furnished with toiletries, hair dryer, iron, ironing board, flat screen TV, coffee maker, microwave, work area and mini-fridge. Cable television, free WiFi are also provided. Available room types include single king, double queens, accessible king, king suite, double queen suite and jacuzzi suite. 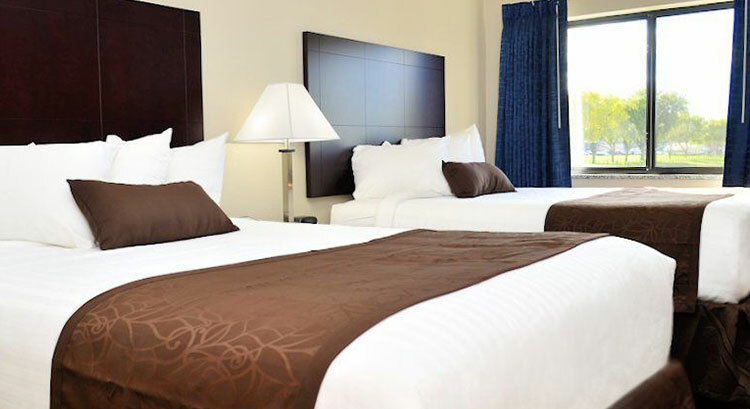 All rooms have top on the line bedding, including pillow top mattresses. This two-story property has stair access only. Smoke free property and all major credit cards are accepted. Self parking is free and we have parking for RV&apos;s, tour buses and trailers.